Everyone loves a glass of Champagne for a celebration and a Champagne glass with a twist can bring an interesting element to any celebration. Champagne glasses aren’t often used for promotional glassware choices, so if you want your brand to stand out, the Crysta III Saucer makes a bold statement. While not often used, Champagne glasses are a great promotional glassware option. They can be used in a range of situations from corporate gifts, presented with a lovely bottle of quality Champagne or as part of a gift basket, through to Champagne producers using them as a marketing tool. As a marketing tool, a promotional Champagne glass can be used in a number of ways. If you supply Champagne to restaurants, bars or hotels you may like to provide cartons of glassware to be used with your particular brand. This allows your brand name to get in front of customers, helping them to ask for your brand. Alternatively, they can also be used by hotels, restaurants, bars and function centres as a branding opportunity getting the name of the venue in front of customers. 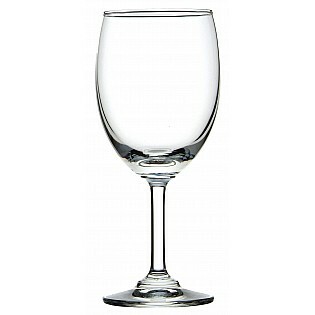 But what is a promotional Champagne glass without its style companions in the rest of the beverage range. Our Crysta III promotional glassware range includes the Crysta III Saucer, the Crysta III Flute, three differing sizes of the Crysta III Wine glass, the Crysta III Footed Beer glass and the Crysta III Beer glass. The entire Crysta III range has style and class which is virtually unmatched. If you need a promotional Champagne glass, the Crysta III Saucer is an interesting and stylish choice. Teamed with the entire Crysta III range, your branded glassware will certainly be noticed by your customers.